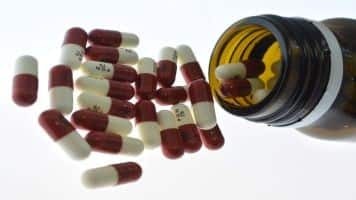 Shares of largecap and midcap pharmas gained strength on Wednesday, up 1-5 percent intraday on getting approval from US Food and Drug Administration (USFDA) for cholesterol and alzheimer drugs. Lupin and the subsidiary of Glenmark Pharma have received US FDA nod for alzheimer's drug Memantine Hydrochloride while Torrent Pharma got tentative approval for Rosuvastatin calcium, the cholesterol drug. Torrent Pharmaceuticals also touched a record high of Rs 1,334.75 today as a media report indicated that the company is close to sealing deal to acquire dermatology business of Encore group and the deal size may be at upwards of Rs 350 crore. Meanwhile, Strides Arcolab has received approval from the USFDA for polyethylene glycol 3350, sodium chloride, sodium bicarbonate and potassium chloride for oral solution, 420 grams/11.2 grams/5.72 grams/1.48 grams/4 liters. According to IMS data, the US market for polyethylene glycol 3350, sodium chloride, sodium bicarbonate and potassium chloride for oral solution is approximately USD 20 million. These drugs are used for bowel cleansing prior to colonoscopy. At 11:36 hours IST, the scrip of Strides Arcolab was quoting at Rs 1,221.95, up Rs 19.60, or 1.63 percent and Lupin at Rs 1,990, up Rs 9.20, or 0.46 percent. Glenmark Pharma rose 1 percent to Rs 926.50 and Torrent Pharmaceuticals climbed 3.64 percent to Rs 1,317.45 on the Bombay Stock Exchange.